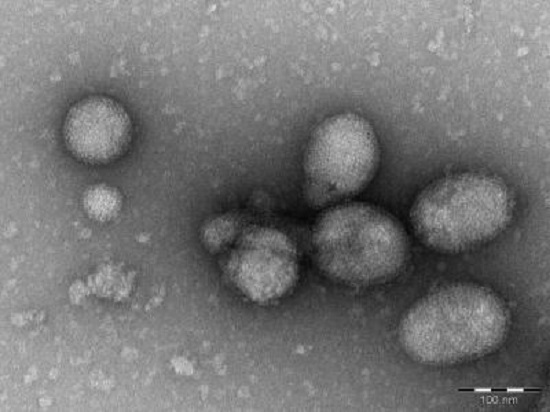 Researchers have discovered two new groups of viruses. Researchers at the University of Bonn and the German Center for Infection Research (DZIF) have discovered two new groups of viruses within the Bunyavirus family in the tropical forest of the Ivory Coast. Previously only five groups responsible for serious illnesses in humans and animals were known with previous studies stating that most are spread through blood-feeding insects. Based on the discovered viruses researchers conclude that the ancester to all bunyaviruses must have existed in arthropods such as insects. The study is published in the journal Proceedings of the National Academy of Sciences (PNAS). The team state that the bunyavirus family includes five different groups of viruses which trigger serious illnesses in humans and animals and which can also cause significant damage to vegetables, such as tomatoes. The first viruses of this family were discovered in a place known as Bunyamwera in Uganda, from which they derive their name. Previous studies report that the most well-known bunyaviruses include, for example, the Rift Valley fever virus, which can cause febrile illnesses with severe bleeding in humans. In 2011 the ‘Schmallenberg virus’, also a part of the Bunyavirus family and transmitted by gnats, gained much attention when it caused severe fetal malformations in ruminant animals including sheep in the German Sauerland region. The current study focused on the African tropical forest of the Ivory Coast where the team has been conducting research for more than ten years. Because most bunyaviruses are transmitted by blood-sucking insects the researchers caught more than 7500 mosquitoes. Sorted according to species and sites of capture, the mosquitoes were combined into 432 mixed samples. In 26 of these samples, the researchers discovered particles of unknown bunyaviruses. The data findings showed that there were two groups of as-yet-unknown viruses that the team named Jonchet virus and Ferak virus. The group then obtained fragments of the viral genetic material from the insect samples and joined these fragments together like a puzzle, reconstructing the entire genome sequence over four years. During the comparison of the genetic information with other viruses, it was found that Jonchet and Ferak viruses are two phylogenetically independent bunyavirus lineages. The team then investigated how dangerous the two new groups of viruses are and how easily they can be transmitted to humans and animals. They performed infection trials in a large number of cell cultures at different temperature levels. While pathogenic bunyaviruses can multiply at temperatures that include the human body temperature, growth of Jonchet and Ferak viruses ceases above 32 degrees Celsius, making it unlikely that the viruses infect humans or other vertebrates. In addition, they reconstructed the evolutionary history of host associations of the entire family of viruses, demonstrating for the first time that viruses affecting vertebrates developed from arthropod-specific viruses. The team surmise that virologists are now reaching out to discover the plethora of unknown viruses lurking in natural reservoirs such as insects, in an attempt to forecast pandemic risks. The researchers hope that their temperature test for estimating the risk of vertebrate infection can be useful for assessing other viruses that are currently being discovered. Ferak is a fantasy figure, a plant/animal hybrid creature. The genome of the virus has similarities to bunyaviruses from both plants and animals. Credit: © Dr. Andreas Kurth/Robert Koch Institute Berlin. I believe the best presence against viruses is to build the immune system.